Simultaneous perceptions reveal the physical traces of history of the Seventh Regiment's building, refurbished by Herzog & de Meuron. Jonathan Clabburn and Tapio Snellman explore from an intimate and multivalent perspective the project by Herzog & de Meuron for the Park Avenue Armory (New York, US; completed in 2013) and their challenge to respect and preserve the historical weight of the structure while preparing the building for new functions and an updated infrastructure at the same time. 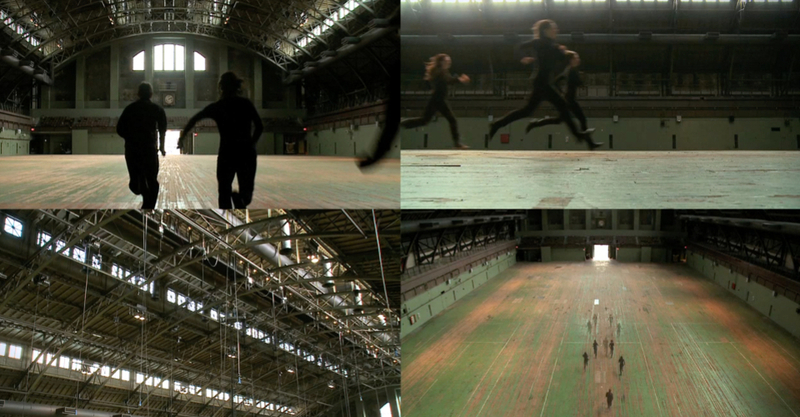 The "Park Avenue Amory" film was commissioned by the Park Avenue Armory Conservancy, a non-profit Art Institution, as a fundraising tool for communicating the "Seventh Regiment" building's program and future changes projected by the Swiss architects, as well as an art piece in itself to reflect on the intense history of the building's layered fabric. The Armory was originally built between 1877 and 1881 by New York State's prestigious Seventh Regiment of the National Guard as both a military facility and a social club. Herzog & de Meuron decided to maintain the distinct and strong identity of each room of the historic brick building - now destined for cultural activities ranging from studios for artists-in-residence to public performances and massive installation - by treating each space individually and "revealing the physical traces produced over time". From a four-split screen perspective - originally conceived for a multi-screen film installation - Clabburn and Snellman's camera follows the movements of the dancers of Shen Wei Dance Arts company as they trace the restored rooms with their bodies. The juxtaposition of various view angles and simultaneous perceptions of a space within a single frame eventually creates a more immersive experience. The palpable and fascinating "historical substance" of the building slowly overwhelms the spectators as the short film enters the spaces of the Armory. The film has won the award for Best Experimental Film of the 2013 edition of Arquitecturas Film Festival in Lisbon.